Ack!! I want one I want one! 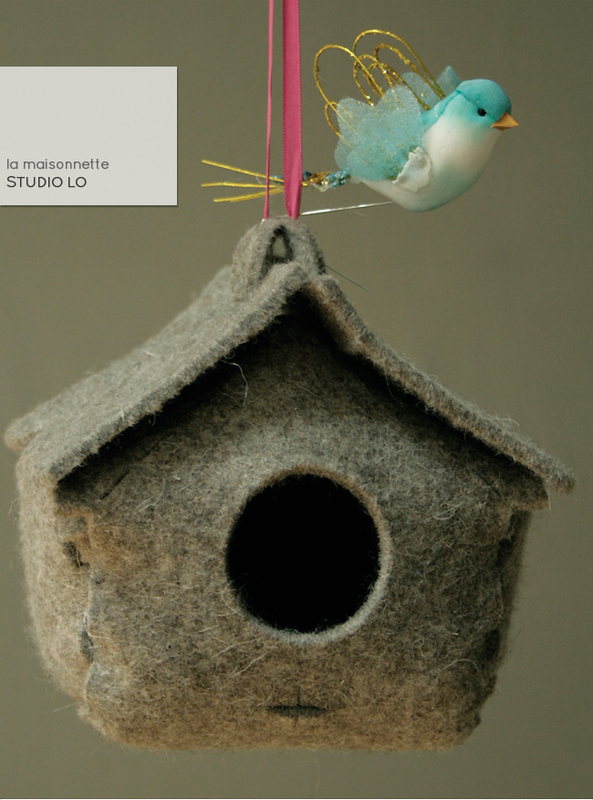 A little bird house made out of felt!! It's sold flat and pre-cut so it is easy to make, accessorize it with a twig, a spoon or anything funny to create a resting peg. 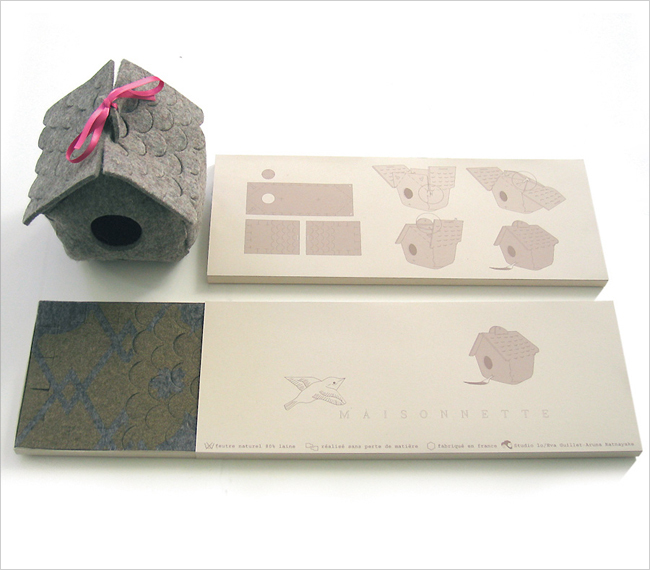 La Maisonnette, designed by studio lo (Eva Guillet and Aruna Ratnayake). Ooh...me too, me too! I just love it! Thats lovely. And not as expensive as I thought it might be. Sold out though!